What’s up, doc? National Bunny Day highlights the value and contributions that pet rabbits bring to their owners. 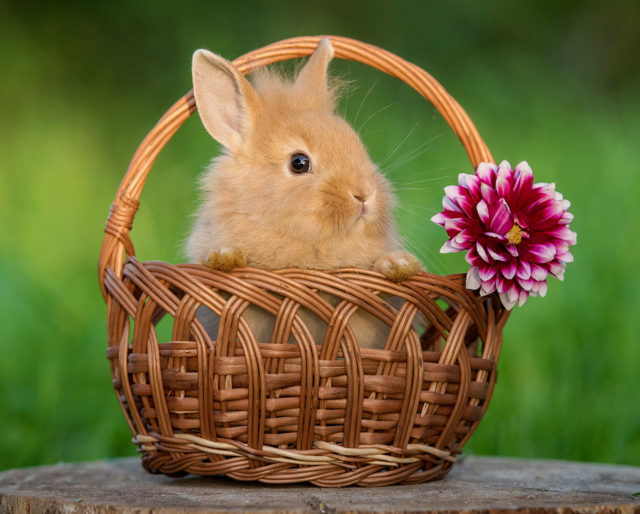 Held on the fourth Saturday or Sunday each September, National Bunny Day also centers on the welfare of rabbits — while promoting a healthy environments for those raised as pets. The House Rabbit Society hosts a number of events on the day, including a carnival and various fundraisers. ​A breeder in California's actually responsible for the classic New Zealand White breed. They are are exceptionally calm and docile rabbits. A national rabbit association dedicated to all breeds was launched. Many animal shelters offer opportunities to adopt pet rabbits. Do some research about local shelters and find out if there's are rabbits available for adoption. Rabbits have welfare needs distinct from other domestic animals. Study up on things like diet — as well as the best ways to create a healthy environment. See if you can volunteer or make a donation. Even if you're not in a position to adopt you can still interact with them. Roger's suspected in the murder of a famous Hollywood film producer (and owner of Toontown) in Disney's 1988 smash "Who Framed Roger Rabbit?" ​A toy rabbit who becomes real through the love given to him by his owner. Who doesn't love rabbits? From Bugs Bunny to the Energizer Bunny, rabbits have a long history in our culture. They also make great pets. Pet rabbits need to be properly cared for and live in a safe environment. National Bunny Day helps us remember that rabbits are on a par with other domestics pets such as cats and dogs. Not all rabbits are safe. National Bunny Day seeks to educate the public about rabbit hunting, medical experimentation, and product testing.